Like many people, I’ve been fascinated by Tim Peake’s journey into space, and I’ve learnt so much in the last few days. As a family we have enjoyed researching the space station and life as an astronaut. The things my boys wanted to know were the popular things; two of the top four google search suggestions for ‘how do astro…’ are toilet related! Our journey highlights the way many of us now consume news and information. We don’t use one newspaper, website, or TV news programme. Between us we used a wide range of sites and sources, including traditional books, but more often than not a computer, tablets, TV programmes watched on demand, and social media. For today’s launch while I was at home I watched BBC News, while I was out and about I relied on Twitter to keep me up to date. Tonight, when we realised our recording of the BBC special had ended before the big moment when the hatch opened and the astronauts entered the space station, we were saved by a tweet from @space_station with a video clip of history in the making. Twitter is brilliant for live news and updates. This evening BBC News were using posts from the @space_station account for their live programme. So much easier for NASA than having to issue updates and images to journalists in any other way. I’d urge Twitter to leave well alone with their ideas for changing news feeds. Live updates like this wouldn’t have worked on Facebook where the posts wouldn’t have gone to everyone and wouldn’t necessarily have been in chronological order. I haven’t had time to explore Twitter’s new moments tab yet but I haven’t seen much to encourage me so far. One of the other things I love about Twitter is the ease with which people can connect. Tim Peake has had good luck messages from a huge variety of tweeters including @duranduran @JamesBlunt and @TheWho. Pre-Twitter it would have been much harder for those people to get in touch and have those conversations. One of the key aims of Tim Peake’s mission is to inspire kids to want to become astronauts and so far I can say it has been hugely successful in our house, helped in no small part by some great tweeting. I’m looking forward to @astro_timpeake’s tweets from the Space Station. Hillary Clinton was mocked last week for emailing an aide for help to use emoji on her new BlackBerry. A cheap laugh for lots of websites and news organisations, but pretty unfair criticism I think. 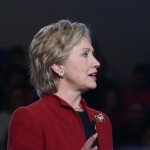 I admit to a quiet admiration for Hillary and I’ve defended her before. It’s perfectly sensible to ask for help if you don’t know how to do something; that’s how we learn things. If the person you are asking is a specialist, chances are they’ve been asked before, and probably even more ‘simple’ questions than yours. There are many things we don’t know how to do. No one is an expert on everything and while I’m pretty good at how to use emoji and many other areas of social media and technology, I’m willing to bet there is an awful lot that Hilllary knows that I don’t. It’s great that she wants to keep up to date, use the full functionality of the technology that she has and bring a bit of life to her communications. Far too many politicians don’t use these tools as well as they could, or need someone else to do it for them. I love helping people learn new things and I’m always happy to answer questions no matter how small or how silly they seem. If people leave one of my training sessions with unanswered questions – then I haven’t done my job properly. Social media and technology change all the time and we need to ask questions to learn and keep up to date. Learning is exciting and I love sharing new things with clients and friends. So if you’ve got any questions, no matter how silly you think they might be – ask away. Comment here, tweet, DM or email me. Whatever you are most comfortable with. I’ll blog the answers to any questions I get (without revealing the person asking the question of course). PS My favourite use of emojis has to be this post from Andy Murray on his wedding day. I was asked again this week how I chose my company name. I have my husband to thank for it, and as soon as he suggested it I loved the idea. We’ve been scanning the universe for years in the hope that we’re not alone. All we’ve heard is a steady background hum. 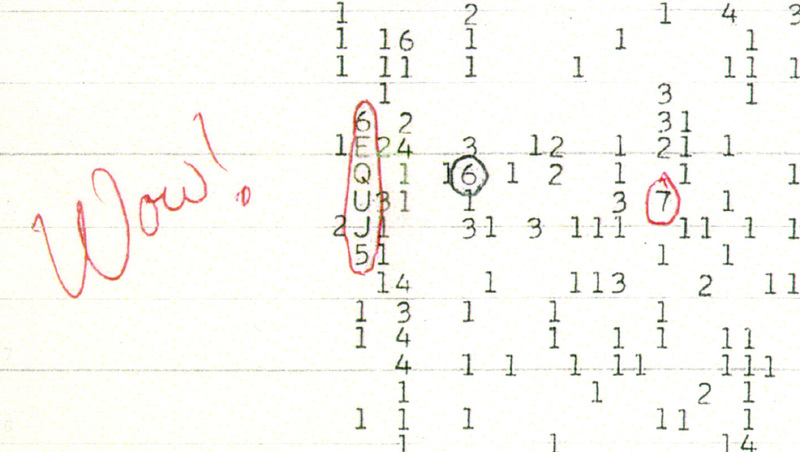 That is until 1977 (the year I was born), when a team of US scientists at the Big Ear radio telescope in Ohio picked up a one-off signal that fitted the profile of an alien transmission. It wasn’t at a frequency used by human beings, and it didn’t come from natural sources. Interstellar scintillation, the sound of a star twinkling, has also been ruled out. As the instruments flicked into life, the computer chattered out a paper report. A scientist marked the extraordinary printout with a simple “Wow!” and the Wow! Signal was born. For nearly 40 years telescopes have scanned the part of the sky where the Wow! Signal came from. Silence. It remains the only message to cut through the cosmic noise for decades. In the eighteen months Wow! Signal Communications has been up and running I’ve loved cutting through the noise and getting messages through on behalf of local small businesses. Setting up my own business was a big step and I’ve been very lucky to have lots of family support and some great clients to make it a real success. I’m looking forward to the next eighteen months and more. Who do we trust on social media? Who do we trust? Not Facebook itself, that’s for sure. 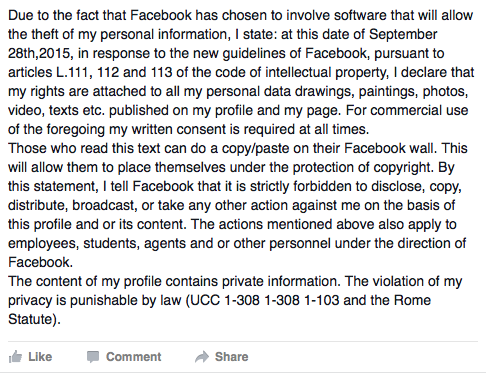 Another round of sharing of this status recently shows how suspicious we are of Facebook’s motives. It’s interesting that we have such a low opinion of Facebook itself, ready to believe the latest story of how they’re going to make money from us or invade our privacy. On the other side it also highlights how much we do trust what our friends post on Facebook. One of the main reasons people cut and paste the information is because they trust their friends who first posted it. As a business or organisation if we can tap into this trust, build a reputation via Facebook, and have our supporters share our information it can have huge benefits. A couple of weeks ago I needed a plumber as there was a leak under our kitchen sink. To find a plumber I asked the school mums Facebook group I am a member of. On a Thursday evening, within five minutes, I had four people reply, three of them recommending the same plumber. By Friday lunch time he’d assessed the problem, and by Monday lunch time he’d fixed it. Unfortunately he doesn’t have a Facebook page or website but I did manage to find some contact details in an online directory. I’d love to be able to tell people how fabulous he was and leave him a 5* review but am sadly unable to. 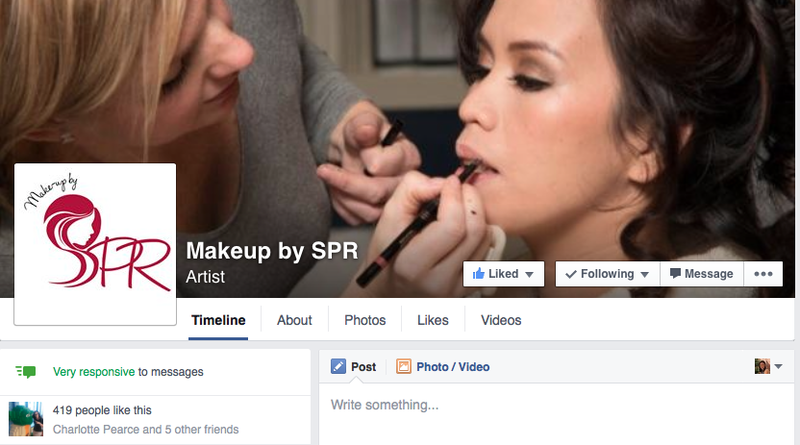 Stacey’s business, Make up by SPR, does have a Facebook page, filled with great recommendations, lovely photos and easily accessible contact details. When a request went into a Solihull Mums and Dads Facebook group for a make up artist, Stacey was recommended by a number of people and they were able to link to her Facebook page, making it really easy for the person to get in touch with her. Stacey was booked, and this is the way a lot of people find her and her business. She is listed by Facebook as being very responsive to messages so potential customers have confidence that she will be in touch with them quickly. Personal recommendations have always been vital to any business or organisation but today people look to Facebook and other social media channels for those recommendations, a good digital and social media presence can really enhance your reputation and allow customers to quickly and easily show their support for and recommend you and let other people know who they trust. For more social media news and views you can like my Facebook page. 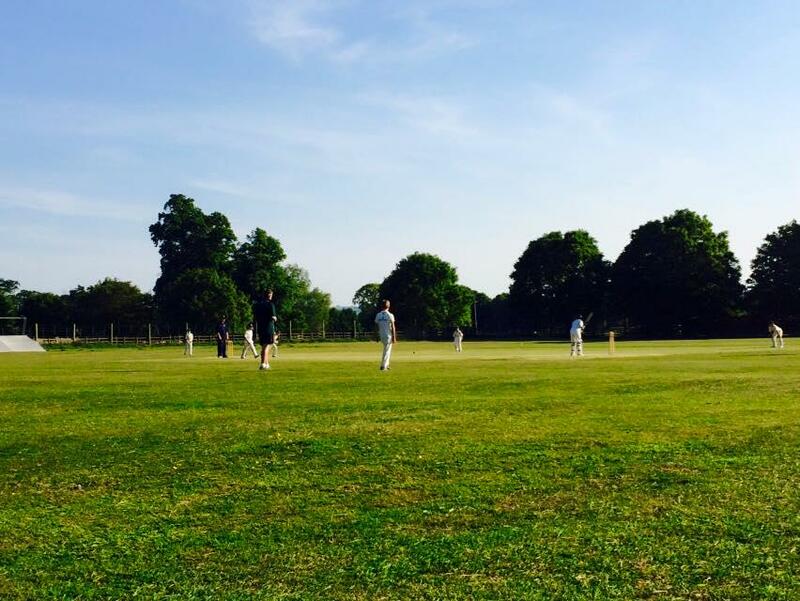 It’s been a while since I last wrote a blog, largely thanks to a very busy summer, a fair proportion of which has been spent in and around the game of cricket. In many ways it is still a very traditional sport including the (highly impractical for small boys) white clothing, and we’ve had some lovely afternoons eating picnics at picturesque grounds watching my eldest play. But it is also a sport that has changed massively in recent years and at every level is embracing the benefits that digital and social media can bring. a great example of the friendly tone that works so well on social media, and to top it off the photo was shown on the big screen at the ground, which my kids thought was brilliant. 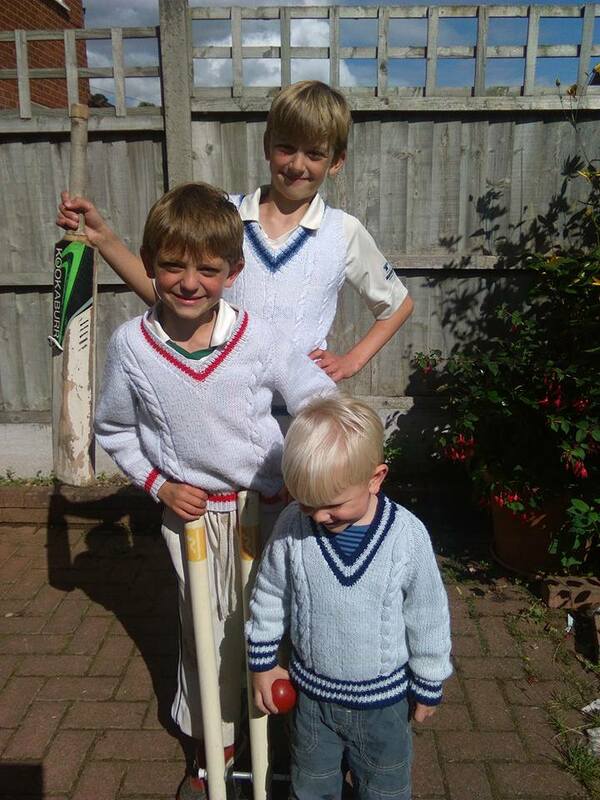 My eldest was thrilled a couple of weeks later when he was invited by his local club to see day 2 of the Ashes test at Edgbaston. I wasn’t lucky enough to be able to go with him, but thanks to this brilliant audioboo – a useful tool for broadcasting short conversations with star players and young hopefuls alike – I got to hear how much he was enjoying the day long before he arrived home (mine’s the one who likes Stuart Broad because they are both tall!). The final highlight for the boys was being asked to be flag bearers for the Warwickshire T20 quarter final, again at Edbgaston, and slightly nervously the day we were flying back from our holidays in France. My initial tweet was favourited by Warwickshire player Ateeq Javid and retweeted by the club and their T20 account. An interaction that wouldn’t have been possible through any other channel, and made us feel like we were already part of the day despite being sat in an airport in a different country. Following the game the boys were lucky enough to meet Ian Bell. Along with the traditional photos and autographs, we’ve also got a favourite on Twitter from Ian Bell’s account. His is a nice example of a player who doesn’t just use his social media accounts for promotional purposes but uses them like a normal person and interacts with friends, team mates, and fans alike. As a Birmingham City fan there’s bit too much Aston Villa content for my liking this week, but no-one’s perfect! We’ve had a wonderful summer of cricket, and are very lucky to have some fantastic memories as well as digital records of all that we’ve been up to. Facebook offers the most sophisticated targeting platform for advertising, with a range of tailored options and the ability to select an audience by demographics, interests, behaviours, and even by device used to view. 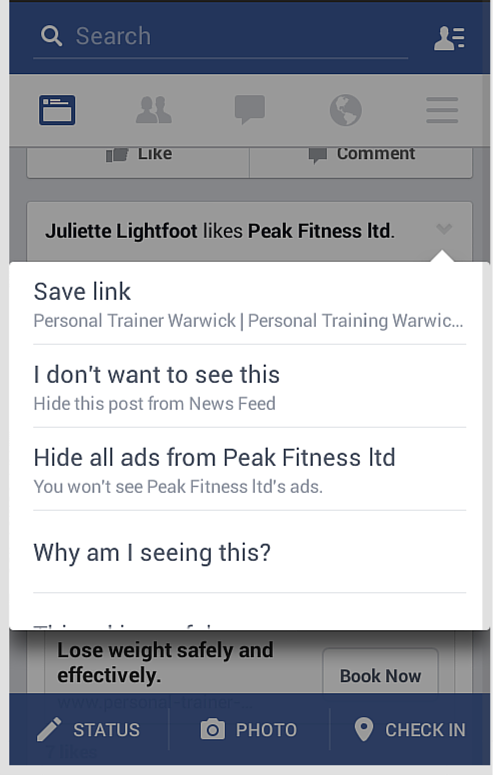 If you’d like to know more about how Facebook advertising could help your business please get in touch. WestJet run one of my all time favourite Twitter accounts, it’s friendly, humorous and useful. They have also produced one of the best ever Youtube videos from a company. Recently they’ve been doing a great job in a much more challenging situation. A series of bomb threats to their planes has resulted in diversions, delays, speculation and a lot of questions. This week’s false threats are all criminal investigations, and we will support investigators as they seek out those responsible. There’s a lot to be learned from their social media and crisis handling. They have a fantastic style and tone that really hits the mark no matter what the situation. Let’s hope they can get back to fun YouTube videos soon. 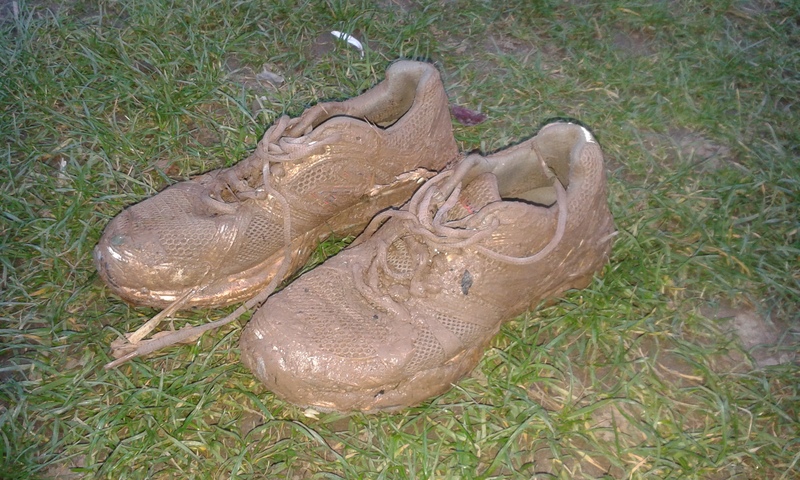 I recently took part in a Wolf Run. I’m glad I can tick it off the list but I won’t be rushing to do another one, it’s the only run I’ve ever finished wanting a blanket and a cup of tea. 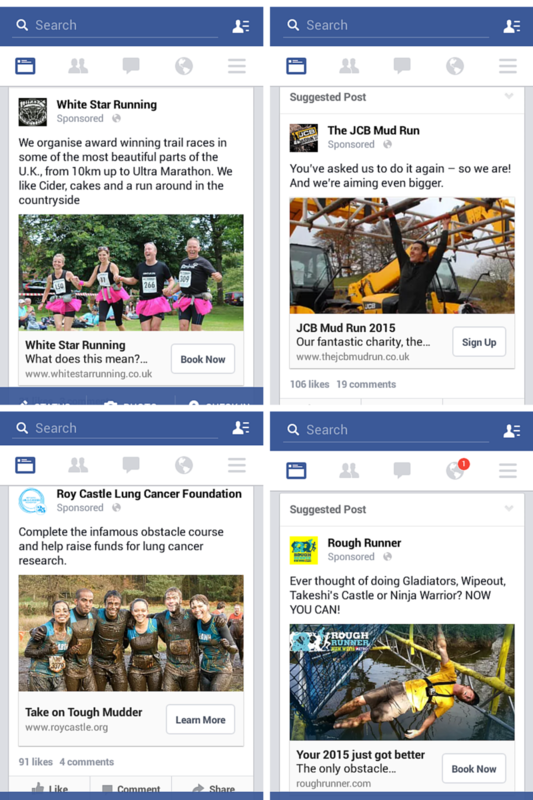 As with lots of things that I get involved in I liked the Wolf Run Facebook page, mentioned the event in posts before and after the run and was tagged in photos from the day, covered from head to toe in mud. Since then, I’ve noticed something very interesting. For the last month these are the ads that have been appearing in my Facebook timeline. Pretty much exclusively. I haven’t really seen adverts for anything other than running events, especially of the outdoor, muddy variety, and physical challenges. A click on the ‘v’ symbol and selecting the ‘Why am I seeing this option? ‘ tells me why. Facebook thinks I am interested in running and physical fitness, which is a fair assumption based on my recent activity. But it does highlight a flaw in a computer generated algorithm – there is no account of the ‘never again’ feeling I have about another Wolf Run or similar. 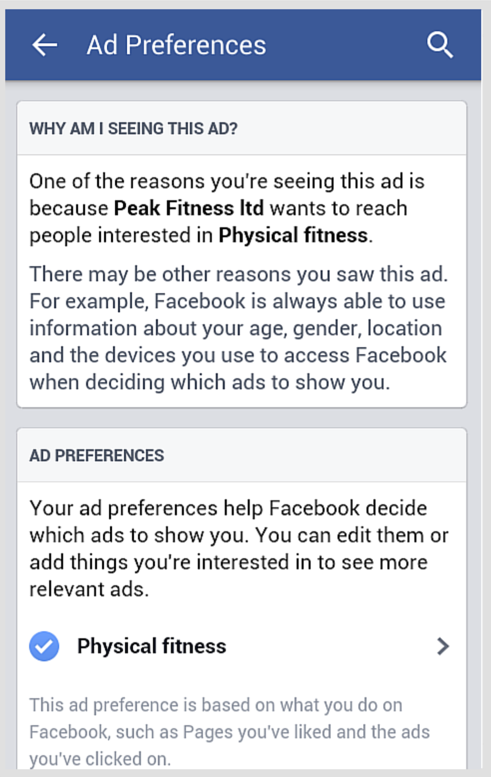 Facebook is keen to tailor updates and ads to your personal preferences so if you are seeing ads in your Timeline that you don’t like, make sure you have a look at why you are seeing the ad and change the topics you are interested in if they aren’t accurate. You can’t remove ads from your Facebook timeline altogether but you can make sure they are for stuff you might be interested in. On the other side of things, as an advertiser, this ability to target is brilliant. You can advertise to people based on their age, gender, location, interests and habits. Plenty of people who did the Wolf Run loved it and will be signing up for the next one and other similar events so I’m sure some of the ads I’ve seen will have been very successful. The cost of those adverts will also have been far less than in a printed publication. Interestingly one of the few non-running adverts I’ve seen recently was for Land Rover and that was because I like Volvo, so companies large and small are using Facebook adverts to target potential customers. So, next time you’re on Facebook have a look at the ads in your feed and why you’re seeing them, it might give you ideas for how you could use Facebook advertising and how to tailor them. 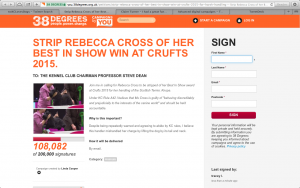 Crufts is in the news for all the wrong reasons at the moment and there are now over 108 000 signatures on a petition to strip Rebecca Cross of her Best in Show win. The Twitter sentiment score from Topsy is just 14% positive from over 3000 tweets a day on the topic of Crufts. Compared to the sentiment over the last 30 days of 70% positive it’s clear their reputation is taking a hit. So, how are they handling it on Twitter? To be honest it’s a dog’s dinner. 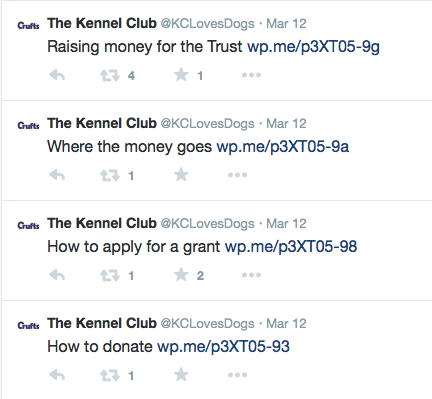 These are all the tweets they’ve sent from @KCLovesDogs since the end of the competition. Surely one tweet with a link to the full statement on their website would have been more effective and much easier for other people to share. The Mother’s Day tweet that precedes them is yet another example of the dangers of scheduling tweets and not thinking to delete them if circumstances change. Since then silence! 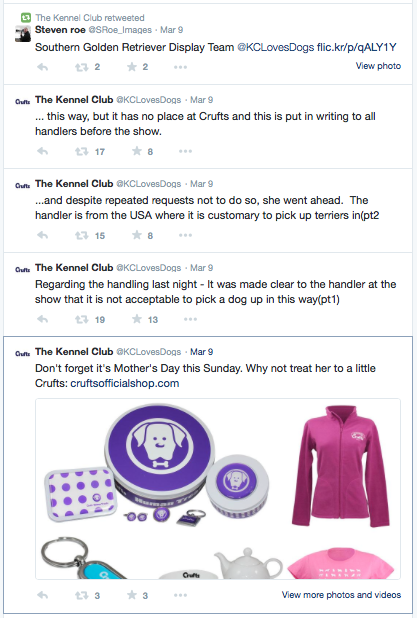 An advanced Twitter search for tweets sent to @KCLovesDogs shows lots and lots of people asking them questions (some polite, some not worthy of a response), criticising them, and wondering what is going on. In the absence of information from the Kennel Club, people have started creating and sharing their own material, their own stories about what happened, and they are spreading all over social media, without proper explanations or rebuttals. 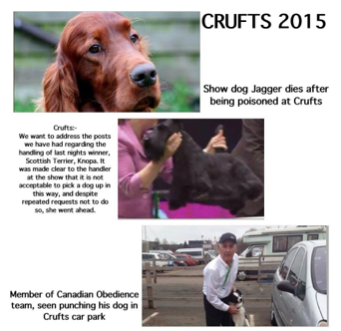 There is nothing for dog lovers to counter stories with, even if they wanted to show their support for Crufts. The good ingredients of a crisis response include: regular updates, taking control of the situation and clearly demonstrating that you have, monitoring closely what is being said, myth busting, responding to reasonable questions, allowing your supporters to help you, and continuing those efforts for as long as it takes for the crisis to end and for your reputation to be either protected or rebuilt. 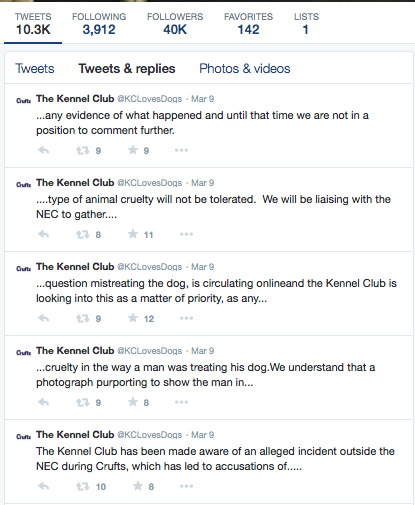 Perhaps there really isn’t anything else the Kennel Club can say, maybe things are as bad as others are making out, but I’m sure there are some updates, some responses, some engagement that could be made before their sentiment score drops into single figures. Literally as I did a final check to see if there had been any further Twitter activity I spotted these, again presumably automated tweets, to web articles about how to support the Kennel Club and access their grants! No Best in Show win for @KCLovesDogs! Definitely must do better. 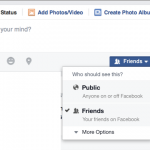 How safe are your photos on social media sites? The story in the Daily Mirror recently sounded very scary. People accessing photos of children from social media sites and printing them on mugs. However they were able to do that because of the way the photos had been put on the internet (the point the company behind the story were trying to make). The photos were downloaded from Flickr, an online photo album site; they were not taken from Facebook. Social media is widely used and can be a great way to keep in touch with friends and family around the world. With those possibilities does come some risk but careful use of privacy settings and understanding how they work makes a huge difference to who sees your updates and photos, and greatly reduces the potential for anyone to misuse them. When anyone uploads a photo to Flickr there are a choice of options to set out what other people can do with that photo. 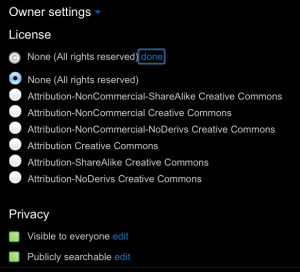 The default setting is ‘all rights reserved’, which means other people can not use your photo in anyway. You have to actively choose an alternative setting to enable people to download and use your photo. 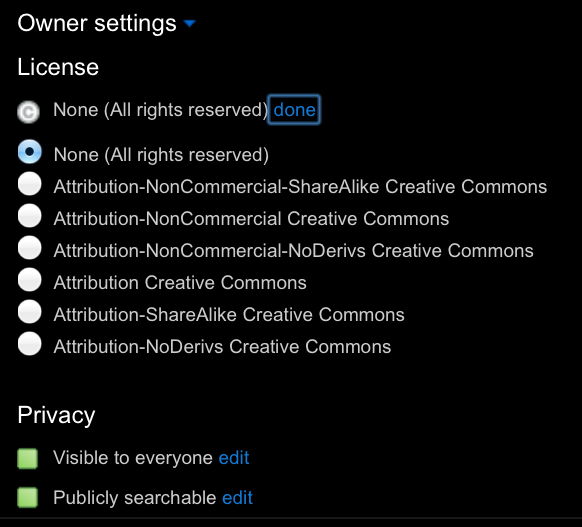 If you do use Flickr you can also choose who can see the photo: only you, friends, family, or everyone. The photos that were part of the story that appeared in the Daily Mirror came from Flickr. The people who had uploaded them had also changed their settings to allow others to use them. 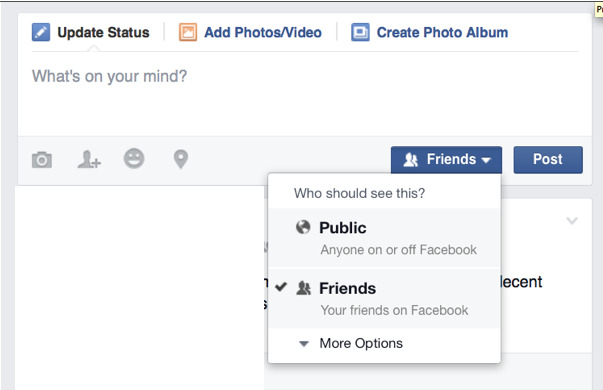 When you put photos on Facebook you can control who sees them. Each time you write a new post or share photos you can choose the audience it goes to by using the little arrow at the end of the box that says ‘Friends’. Facebook has a vast array of privacy settings, they do change from time to time so it is always good practice to go through and check your settings. If you go to www.facebook.com/settings you can look through them all and update any you need to. You can change who can see posts you’ve made in the past as well. The NSPCC are running a campaign at the moment called Share Aware. They have produced useful guides to lots of social media and game sites and advise on privacy settings and controls. Does your business need a Facebook boost? Do I need a new social media channel?